ACNP is delighted to present our Symposium for 2019. This Symposium will cover an exciting range of topics from health industry leaders that will allow you the opportunity to explore better solutions for Nurse Practitioners and Advanced Practice Nurses. The Symposium will have interactive workshops on the following areas: (1) Using Motivational Interviewing to improve care for clients/patients with chronic disease. 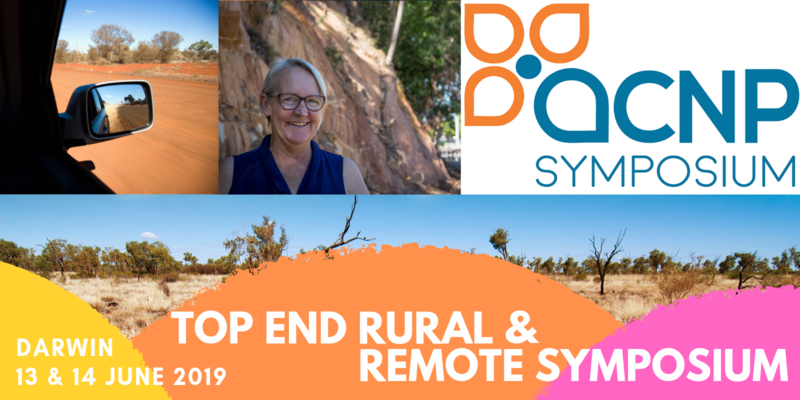 The Top End Rural & Remote Symposium is designed to facilitate engagement between peers and professionals, stimulating discussion and involvement within the key areas of the latest issues. Top End Rural & Remote Symposium is designed by and for Nurse Practitioners, Nurse Practitioner Candidates, Remote Area Nurses and Advanced Practice Nurses. Address NP Practice and ways to enhance and broaden your opportunity as an NP.